TechNiche Air Activated Hand Warmer, powered by Heat Pax. Perfect for use within many applications. Direct replacement within many TechNiche, Heat Pax powered, items. 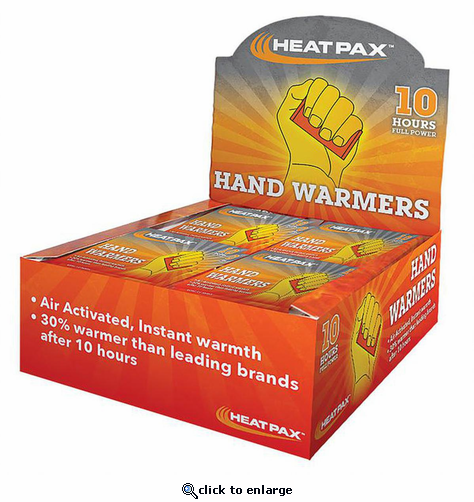 Simply open the warmer to activate up to 8 hours of constant, safe heat. No chemicals, no batteries, no flame. Non Toxic and biodegradable. 40 ct. box. TechNiche is a global leader in clothing that uses cooling and warming technologies. Our clothing is distributed in over 50 countries worldwide with distribution centres in the US, Europe, Asia, Middle East, Australasia and the UK. We design innovative climate control clothing for tough environments and extreme temperatures.